Celebrating Christmas doesn’t have to involve opening your wallet. You can fill your ears and your spirit with sweet yuletide sounds, and enjoy a respite from holiday frenzy, at free concerts throughout the city during December. Gospel choirs, jazz bands, classical artists and more perform in historic church settings during December. Here’s a list below — and if you know of others, please put the information in the comments section below or email uptown@nolamessenger.com. All of these concerts are free and open to the public – although donations, of course, are always welcome. Redeemer Presbyterian Church, 583 Broadway Ave. The Redeemer Christmas Party will feature music by Gal Holiday and the Honky-Tonk Revue and a professional photo booth by Andreas Koch from 7 to 9:30 p.m. There will be a chili contest and prize for “Most Spirited Xmasy Outfit,” as well as other raffle and door prizes. Kids’ crafts, nursery care, food, drinks (wine and non-alcoholic), and desserts will also be there. The event is free; RSVP at info@redeemernola.com. Church of Our Lady of Good Counsel, 1307 Louisiana Ave. 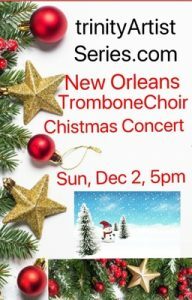 Featured will be several of New Orleans’ finest musicians, including soprano Phyllis Treigle, tenor Casey Candebat, soprano Melissa Brocato, tenor Kevin Rouchell, and organist Brian Morgan, director of music. The Good Shepherd Choir will be heard in Gregorian Chant. Composers included will be Adolphe Adam, Jehan Alain, Georges Bizet, Benjamin Britten, Charles Gounod, Sir Peter Maxwell Davies, Cesar Franck, Calvin Hampton, Nicola A. Montani, and Pietro A. Yon. The repertoire performed will be a mixture of the familiar and unfamiliar. Christ Church Cathedral, 2919 St. Charles Ave.
Sunday, Dec. 9 at 4-5:30 p.m. The choir sings the beloved service of Bible readings interspersed with music of the season. Anthony Sears conducts, Jarrett Follette plays the organ. Trinity Episcopal Church, 1329 Jackson Ave. The Trinity Artist Series concerts, a 30-year New Orleans tradition, are held in Trinity Episcopal Church in the Garden District. Sunday, Dec. 2 at 2 p.m.
100 performers present a winter theme program of music by Prokofiev and others. Sunday, Dec. 2 at 5 p.m.
John Risey, director in a program of Christmas favorites from pop culture hits to gospel and jazz. Krewe de Voix Chamber Choir will present a program of English choral music from the age of Henry VIII to Elizabeth I featuring carols, motets and hymns of the period. A 12-voice all-professional ensemble specializing in Renaissance and Baroque music, Krewe de Voix will kick off its third season with the music of William Byrd, Thomas Tallis, Thomas Weelkes and other great composers of the late English Renaissance. Saturday, Dec. 8 at 6:30 p.m.
With Dr. John E. Ware, conductor, Veronica Down Dorsey, pianist and Albinas Prizgintas, organist. 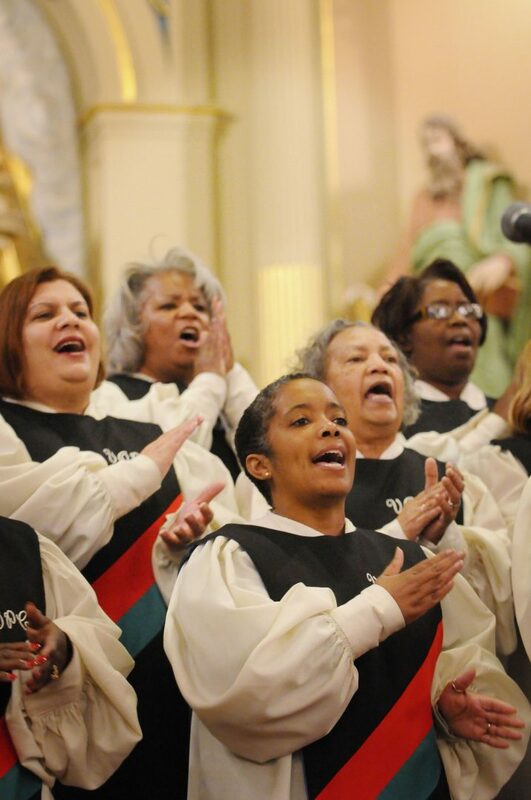 This year’s theme is “Follow the Drinking Gourd, Follow the Star.” The Black Chorale, founded in 1979, is noted for singing traditional spirituals as well as compositions and arrangements by contemporary African-American composers. 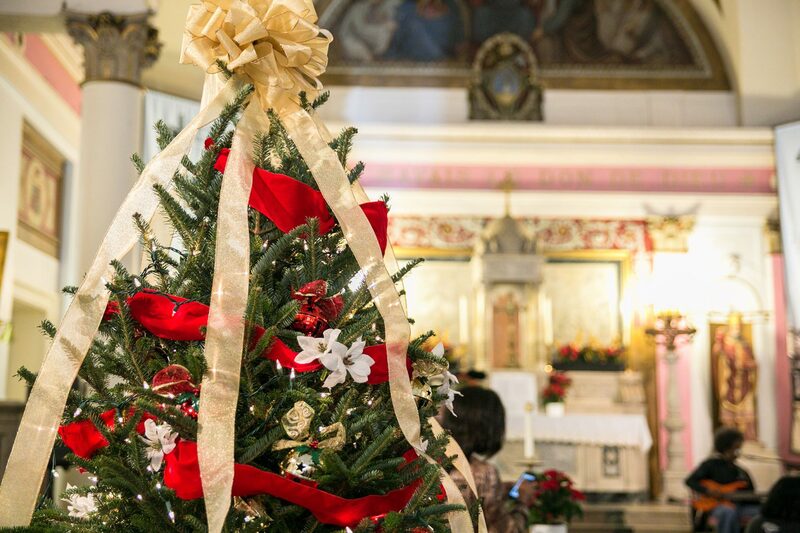 Sunday, Dec. 16 at 5 p.m.
Trinity Episcopal Church will host a Festival of Nine Lessons and Carols to celebrate mission partners in the greater New Orleans community. Proceeds from the evening will go to participating charities. The service will include carols and choral works of the season lead by the Trinity Choir, Paul Weber, choirmaster, and Jarrett Follette, organist. Albinas Prizgintas plays the 5000-pipe tracker organ, piano and harpsichord with candlelight, ambient lighting and guest musician. 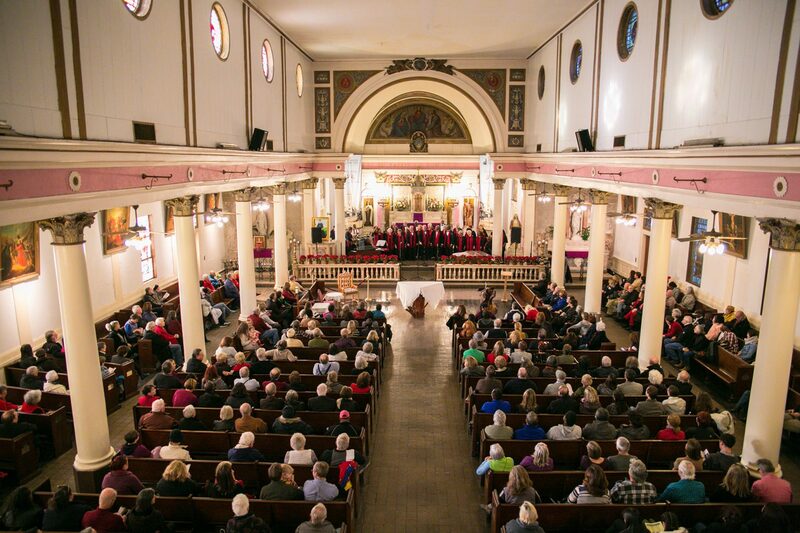 A Tuesday evening tradition since since Katrina, the organ and labyrinth experience is a unique and magical distinctively New Orleans musical meditation. See www.albinas.org for more details. Sunday, Dec. 23 at 5 p.m.
A holiday program featuring Paul Weber, Trinity’s organist and choirmaster, and soloists from the Trinity Choir will include excerpts from the Messiah, solo instrumental and vocal works for the season, and a festive audience-participation rendition of the Hallelujah Chorus. 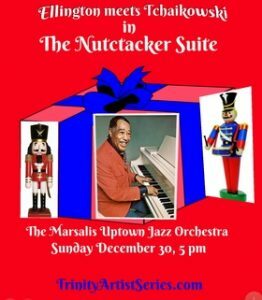 Sunday, Dec. 30 at 5 p.m.
Grammy Award winning musician Delfeayo Marsalis and his Uptown Jazz Orchestra featuring Duke Ellington/Billy Strayhorn’s jazzy rendition of the classic Nutcracker Suite, classic holiday songs and a good old-fashioned second-line ending. The Uptown Jazz Orchestra combines the best elements of the big band sound with a unique New Orleans flavor. Friday Dec. 7, 6-9 p.m. The band, choral class, and string orchestra will perform fun holiday music. Student artwork will be on display in the school’s library gallery with a reception during intermission. There will also be potluck-style food from different cultures to showcase the school’s beautiful diversity available for $8 either before or after the performance. Fronting on Jackson Square in the heart of the French Quarter, the historic St. Louis Cathedral and Basilica plays host to free annual holiday concerts, produced by French Quarter Festivals Inc.
Monday Dec. 3, 6-7 p.m.
Tuesday, Dec. 4, 6-7 p.m.
Wednesday, Dec. 5, 6-7 p.m.
Thursday, Dec. 6, 6-7 p.m.
Sunday, Dec. 9, 6-7 p.m.
Monday, Dec. 10, 6-7 p.m.
Tuesday, Dec. 11, 6-7 p.m.
Wednesday, Dec. 12, 6-7 p.m.
Thursday, Dec. 13, 6-7 p.m.
Sunday, Dec. 16, 5:30 p.m. The St. Louis Cathedral Concert Choir and Orchestra will present Benjamin Britten’s cantata, St. Nicolas Op. 42, conducted by Dreux Montegut, director of music. St. Augustine Catholic Church, 1210 Gov. Nicholls St.
St. Augustine is the oldest African-American Catholic church in the United States and is located in the historic Treme neighborhood. Free secure parking is available in the church’s parking lot — enter from Henriette Delille Street (formerly St. Claude Avenue). The concert series is produced by French Quarter Festivals Inc.
Saturday Dec. 1, 4 -5 p.m.
Saturday Dec. 8, 4 -5 p.m.